Roswell's citizens play a key role in helping prevent crime in the community and making their neighborhoods safer places to live. 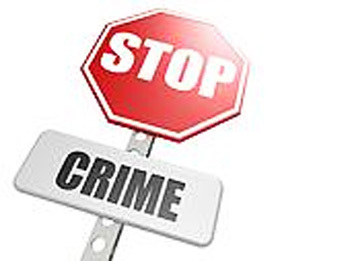 The Roswell Police Department encourages citizens to be mindful of the simple steps they can take to help reduce crime in their neighborhoods, and realize that informational resources are available through the local Neighborhood Watch program. A lot of the crimes that take place in many residential neighborhoods are property crimes, with larcenies and burglaries usually high on the list. Among the things people can do to protect their homes and vehicles are installing adequate lighting in dark areas around the outside of the house, making sure door locks are strong, having a dog at home, making sure to lock vehicle doors, and not leaving valuables in vehicles. It’s relatively simple stuff that can have positive results by making yourself a harder target for criminals. It is also important to know your neighbors so everyone can protect each other by being aware of and alert to what is taking place in the neighborhood each day. The people who know their neighborhood best are the people who live there. They know who belongs and who doesn’t. If something doesn’t look right or is out of place or unusual, it is worth having the police check it out if it holds the potential for criminal activity. Helping members of a neighborhood make good contact with each other is part of what Neighborhood Watch can do. The Roswell Neighborhood Watch program is funded by the city and works within the police department, as well as working with the fire department and at times other city departments to provide education and information regarding crime prevention and safety enhancement. The most effective Neighborhood Watch groups meet regularly to discuss issues in the area and hear from police, fire and other experts regarding crime-prevention and safety topics. The program teaches people how to keep themselves and each other safe. Additional information about crime prevention of all sorts, as well making homes, schools, workplaces and communities safer, can be found at the National Crime Prevention Council’s website (link below). Anyone with information – or even suspicions – regarding criminal activity in their neighborhood or anywhere in the city can call the Roswell Police Department at 624-6770. There is a limited number of police officers, so they can’t be everywhere at the same time. That means citizens play a key role in staying alert and aware of their surroundings and notifying police when something seems out of the ordinary and suspicious. After all, nobody knows a neighborhood as well as the people who live there every day.